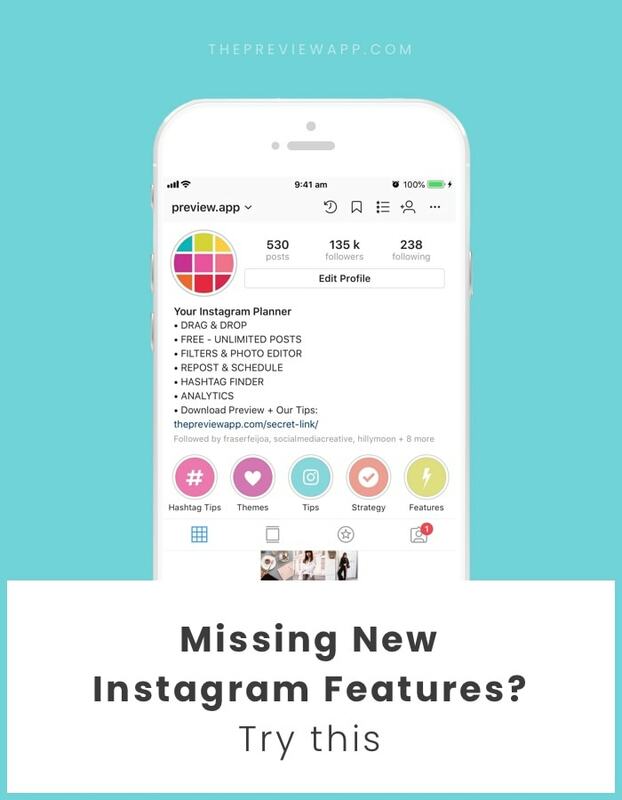 There are a few reasons why you might not have the new Instagram features on your account yet. There are a few tricks you can try to get the new Instagram features. Go on your App Store or Google Play Store and check if you have the latest Instagram update on installed on your phone. Sometimes logging out of your Instagram account and logging back in works. It’s like you are restarting your Instagram. If this still doesn’t work, try this: delete the entire Instagram app and install it again. If it doesn’t work after all of this, then you have to wait. Instagram usually slowly rolls out new features around the world. It’s normal for big apps to slowly release new features. The new feature might not be available in your country yet or it might not be on your account yet. It’s also possible that one of your accounts already has the new feature while another one of your accounts might not have it yet. Which seems weird. Shouldn’t you have the same feature on both of your accounts? Well, it looks like Instagram might be viewing your accounts as separate accounts (even though you are the owner of both). It happened to us: one of our accounts had a new feature before the other one. A few weeks later, the other accounts got the new feature too. Moral of the story: be patient. Keep an eye on your Instagram update. You might get it soon. 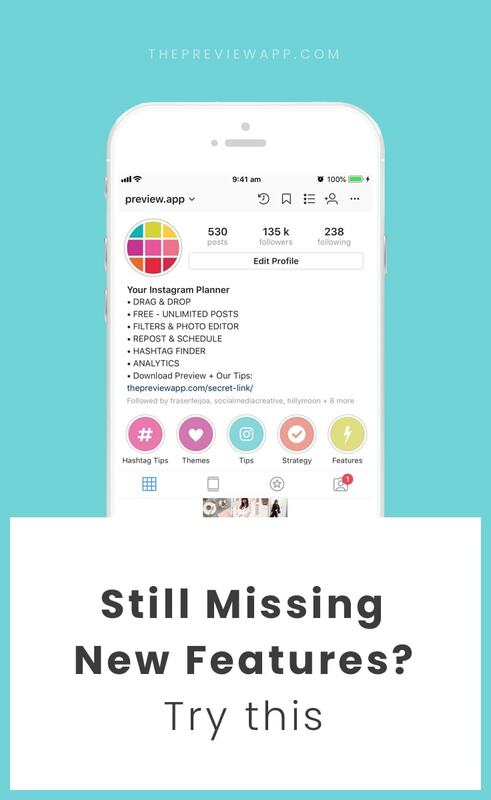 If it has been months since you’ve been waiting for the new features, contact Instagram. Someone told us that she didn’t have the Highlight feature MONTHS after everyone had it. So she contacted Instagram and explain that she was missing this feature. A couple of days after, the Highlights appeared on her account. I know how annoyed you must feel, but be nice 🙂 They are probably receiving so many emails every day. I’m sure a nice email would make someone’s day (there are people behind computers). Remember: they’re trying to help you. And if you are new around here, welcome! Feel free to check out the rest of our blog (it’s all about Instagram).